One-day before 11am: $85 NEW! Includes unlimited golf, shared cart and range balls. Bag tag & course guide also included. Low season ($10 off either price line) in effect now. This program may only be booked via phone! Cancellation penalties may apply. Hawaii sales tax additional (4.166%). Hawaii Island sales tax (4.416%) additional at most locations. Editor’s note: Click on any Big Island golf course above or to the left to read more about it, as well as see complete course information and pricing. 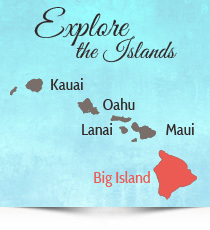 Plan your next Hawaii Vacation by contacting us for hotel, air and travel information. 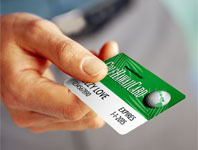 We’re the Hawaii Golf Vacation leader and we can even arrange Hawaii vacations for non-golfers. Our knowledge of Hawaii, accommodations, tourist attractions, and great travel experiences ensures you’ll get the best experience possible. Are you hoping to Visit Hilo, Kona, the Kona-Kohala Coast, Kamuela-Waimea, Volcano Village, Captain Cook, Keauhou Bay or other towns on The Big Island? You can take Hawaii tours, go Hiking, do Sport Fishing, Food Tours, and Sunset Cruises among other stimulating activities. Make your Hawaii vacation a priority and enjoy a holiday that will revitalize your spirit and rekindle your love of life!